Deathfire has a flame colored fur and has a pair of blue eyes thats as cold as ice. He doesn't like to have people around him, so he likes to be alone. He likes to kill and rip things. His mother died when he was born so that left a shadow in him. He almost suicided.He have very long claws and ofen unsheathed hem. So that's why he often hurted his clanmates. He has a bad temper and often got angry. His father cannot even say something to him. He is in the group that wants to destroy clans. What group is he in in Darkclan? 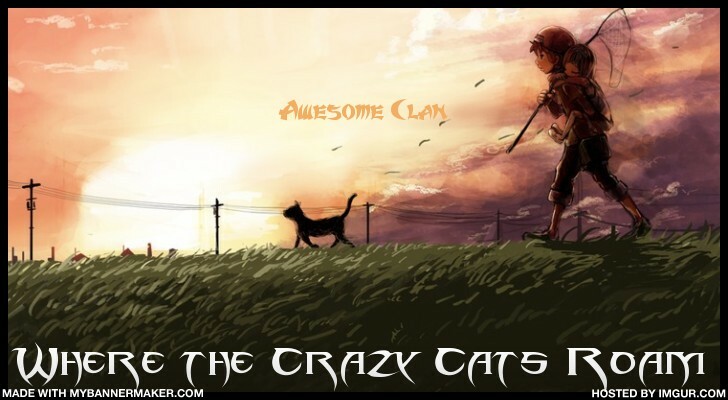 There are three groups: the one that wants to destroy the clans, the one that wants to conquer the clans and the one that wants to amend for their crimes and go to Spiritclan.